Today, Open State Foundation has set Politwoops back online. After an agreement reached with Twitter, API access has been restored and deleted tweets of politicians in 25 countries, including the Netherlands, Chile, Germany but also of members of the European Parliament are preserved again. Today, Open State Foundation has set Politwoops back online. After an agreement reached with Twitter, API access has been restored and deleted tweets of politicians in 25 countries, including the Netherlands, Chile, Ireland, Portugal, United Kingdom, Spain and Turkey but also of members of the European Parliament are preserved again. On December 31, an agreement had been reached with Twitter that allows Open State Foundation to publish deleted tweets by politicians again via its tool Politwoops. The agreement followed several meetings between Twitter and digital transparency organisations Open State Foundation, Sunlight Foundation and digital rights organisation Access Now. Now, deleted tweets of politicians in 25 countries and parliaments are preserved and visible via Politwoops. Open State Foundation works to update various country pages and has the ambition to roll out Politwoops to more countries in the future. ‘The understanding reached last week has been welcomed by all those who believe the world needs more political transparency’, says Arjan El Fassed, director of Open State Foundation. ‘Our next step is to continue and expand our work to enable the public to hold public officials accountable for their public statements’. Open State Foundation started Politwoops in 2010 in the Netherlands and has since then expanded Politwoops to 30 countries and parliaments that enabled the public to see what legislators and other elected public officials, once had tweeted but then decided to delete. In August 2015, Twitter blocked Politwoops until last week when an agreement was reached between Twitter and Open State Foundation to bring back Politwoops. As it worked to relaunch Politwoops, Open State Foundation also made it possible to search and filter deleted tweets. Deleted tweets can be filtered on the period between the time of original tweet and its deletion. This makes it easier for users to filter typos and still be able to search through all deleted tweets of politicians. TransparencyCamp Europe is set to welcome nearly 400 open government supporters in Amsterdam, the Netherlands. This major event on open government is a participant-driven unconference organised by Open State Foundation and the Netherlands Presidency of the Council of the European Union. Mar Cabra (ICIJ/Panama Papers), Chris Taggart (OpenCorporates) and Alex Brennickmeijer (European Court of Auditors) are among its speakers. Politwoops, an archive of public tweets, deleted by politicians has been launched in several additional countries in Latin America. From today, deleted tweets by politicians in El Salvador, Puerto Rico, Ecuador and Peru will be recorded, stored and published via the tool developed by Open State Foundation. 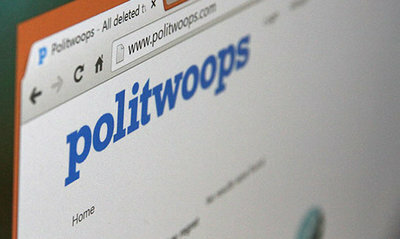 Politwoops was already running in Argentina and Chile. In addition to these countries, Politwoops is also launched this week in Oman, Moldava and Poland.